In 1944 Tarnopol was a town of 35,000 people. The city was about 40 km west of the old Soviet-Polish border on the east bank of the River Seret. The town was a transport hub with several railway lines running through it, the most significant being the Lvov to Odessa line which was the last railway line east of the Carparthians linking these two cities. 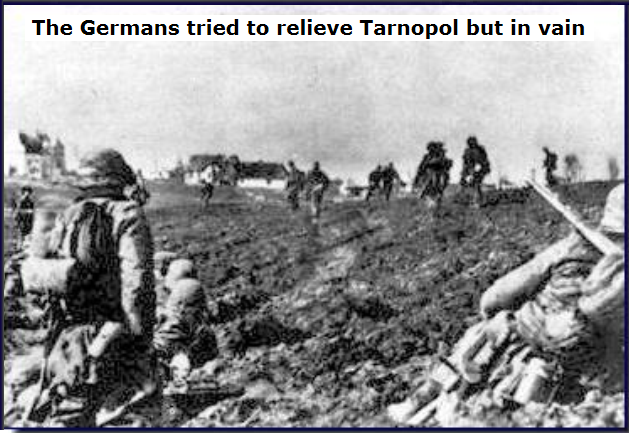 For over a month, the German forces in Tarnopol had been under siege by the Russians. On 11 April, a second German relief attempt set out. Once again Oberst Friebe set out with his armoured battle group (Panzerverband), but this time the 9th SS-Panzer Division Hohenstaufen was in support.